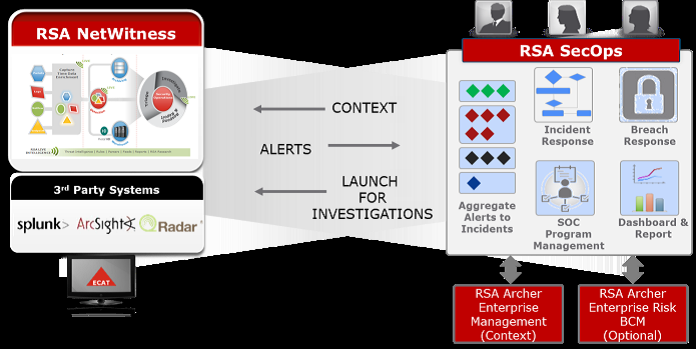 RSA Business-Driven Security solutions uniquely link business context with security incidents to help organizations manage risk and protect what matters most. RSA solutions are designed to effectively detect and respond to advanced attacks; manage user identities and access; and reduce business risk, fraud and cybercrime. RSA protects millions of users worldwide and works with more than 90 percent of the Fortune 500. Multi-Factor Authentication, Access Management, Identity Governance Solution. The RSA SecurID Suite is the only identity and access assurance solution that meets the dynamic access needs of today’s modern workforce.The RSA SecurID Suite offers a comprehensive set of capabilities including access management, authentication, risk analytics, identity governance and lifecycle management. Helps to accelerate business while mitigating identity risk. With multi-factor authentication, access management, identity governance and user lifecycle solutions, it helps to strengthen security, ensure compliance and facilitate business growth. Delivers full visibility into all processes, executables and behaviour on all of your endpoints (servers, desktops, laptops). Built with unique behavioural monitoring capabilities and advanced machine learning techniques that baseline “normal” endpoint behaviour, detect deviations and prioritise incidents based on potential threat level. This method of endpoint protection has repeatedly proven superior to traditional signature- and rules-based endpoint security solutions that today’s advanced cyber threats easily evade. All data storage and the majority of analysis occur on the RSA NetWitness Endpoint server, which ensures data integrity and drastically reduces any impact to the endpoint. Extremely lightweight agent collects full endpoint inventories and profiles in minutes, with no discernible impact on end-user productivity. Collects and automatically analyses processes, executables and more on endpoints; records data about every critical action surrounding the unknown item; communicates with the RSA NetWitness Endpoint server for additional analysis. RSA Archer can help you mature your organisation's GRC program with solutions built on industry standards and best practices. RSA ARCHER PLATFORM provides a common foundation to manage policies, controls, risks, assessments and deficiencies across your lines of business. Offers the depth, breadth and adaptability you need to manage risk in multiple domains, combined with the ecosystem and track record to deliver strategic value to your organisation. Address the most critical domains of business risk and evolve your GRC program with a full suite of multi-disciplinary risk management solutions and a single configurable, integrated software platform. 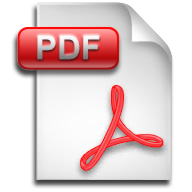 Gain control of the complete audit lifecycle with RSA ARCHER AUDIT MANAGEMENT. Protect your organisation's day-to-day operations during unexpected events with RSA ARCHER BUSINESS RESILIENCY. Recognised as a leader in the Gartner Magic Quadrant for Business Continuity Management for four consecutive years. Improve the effectiveness of your busiess continuity, IT disaster recovery and crisis management teams. Gain a clear, consolidated view of your organisation's risk exposure with RSA ARCHER ENTERPRISE & OPERATIONAL RISK MANAGEMENT. Repeatedly recognised as a leader in the Gartner Magic Quadrant for operational risk management (ORM) solutions. Assess, monitor and address risks consistently by consolidating risk information from across your organisation in one central solution. Reduce the risk of security threats, poorly defined security practices, and operational security compliance failures with RSA ARCHER IT & SECURITY RISK MANAGEMENT. Recognized as a leader in the Gartner 2017 Magic Quadrant for IT Risk Management. Meet changing regulatory and policy compliance obligations with RSA ARCHER REGULATORY & CORPORATE COMPLIANCE MANAGEMENT. Establish a sustainable, repeatable and auditable corporate compliance program while satisfying industry—and country—specific requirements. Purpose-built to meet the unique risk management needs federal agencies with RSA ARCHER PUBLIC SECTOR SOLUTIONS. Maximise existing agency infrastructure investments. Exceed minimum Assessment & Authorisation and Continuous Monitoring requirements. Manage your third party relationships and engagements while reducing risks and monitoring performance with RSA ARCHER THIRD PARTY GOVERNANCE. Further information on RSA solutions can be found on RSA website at www.rsa.com. For any clarifications please feel free to contact us at +357 22028128 or send us an email at rsa@zebrac.com.